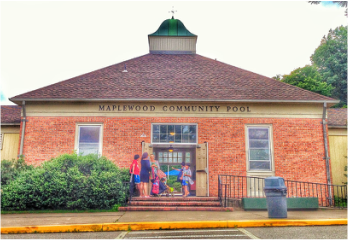 The Maplewood Manta Rays is a summer seasonal competitive springboard diving team, for children ages 4-18 who are members of the pool. 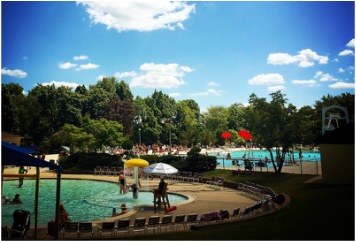 Team fees are $75, cost includes a swim suit and league fees. Try-outs will be held for the divers on a to be determined future date. Formal registration will take place immediately after tryouts. 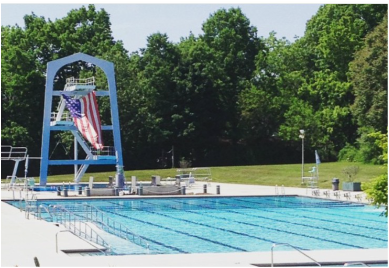 Returning divers are asked to participate in try-outs for placement in age group competition. Divers are permitted to have 3 UNEXCUSED ABSENTS. Once 3 is reached athlete is not able to participate in the next meet. We ask divers to please be able to attend 90% of practices and meets. Excused absences must be emailed to maplewoodmantarays@gmail.com 24 hours before the absence. SIBLINGS: If one of the siblings is attending they must inform Coach of the missing athlete. Ages 9 - 10: Must be able to dive in head first off 1m diving board with out hesitation. Must be able to Jump feet first off the 1m diving board.